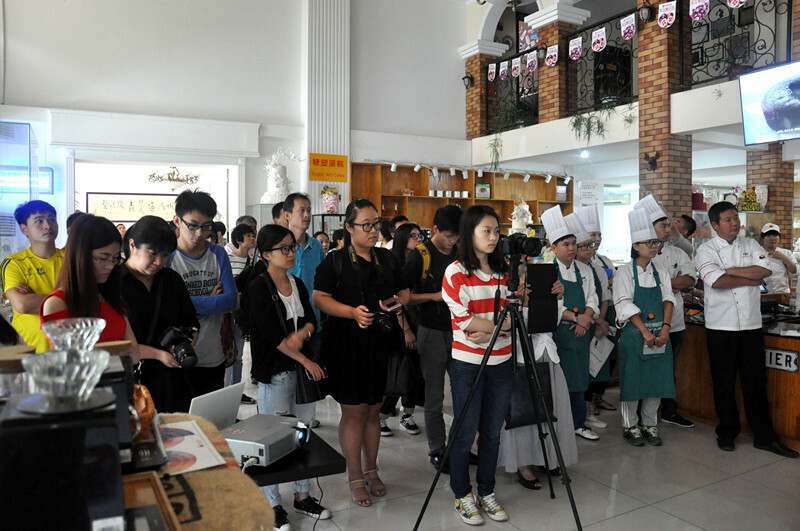 On Sept 8st, 2015, CMC China held a U.S. Cranberry new products launch event with Yum Gather Cuisine Fashion Culture Media Co Ltd, in Gino’s Baking Arts Gallery in Beijing. More than 50 representatives from the media, bakers, pastry chefs and others working in the bakery industry, gathered together to learn about U.S. cranberries and how to make new cranberry products. At the opening reception, guests were treated with cranberry juice. 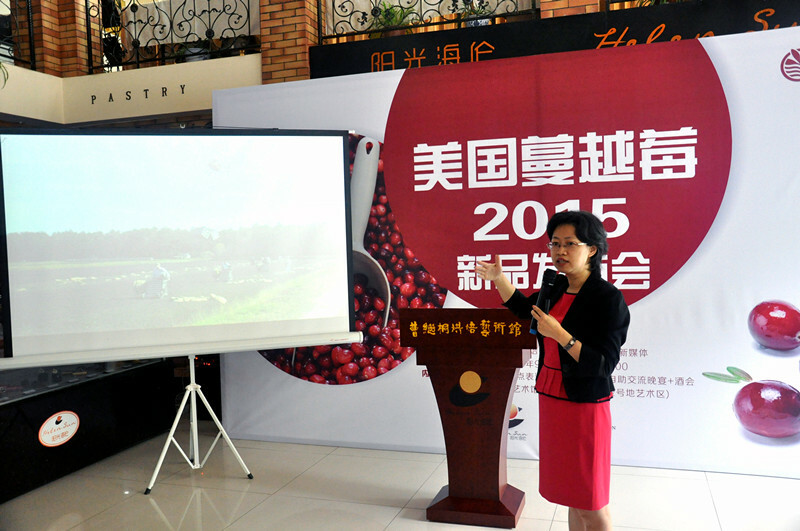 Mabel Zhuang, CMC’s China representative, delivered a talk on cranberries’ unique health benefits and their unique harvesting methods. The audience was also informed that CMC would provide samples of 4 varieties of cranberry products to bakeries for developing new pastries. These cranberry products are namely, dried whole cranberries, soft & moist sweetened dried cranberries, intermediate moisture cranberries and sweetened 1/4 diced dried cranberries. A master baker, Mr. Cao Ji tong, who was invited by MZMC, gave a detail introduction on cranberry’s application in bakery products. Mr. Cao was also dubbed by the media as the first sugar art master in China. He shared his experience in using cranberries to develop new products. After the presentation, he and his apprentice demonstrated making two cranberry desserts: U.S. cranberry chocolate mini cup cake and U.S. cranberry gold foil mini cup cake. The event ended with an enjoyable dinner buffet. Among the many courses, 8 were specially developed by Mr. Cao Ji tong using cranberries as ingredients.